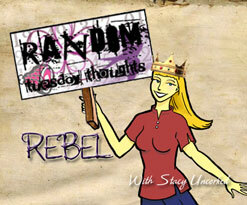 I'm linking up with Stacy for Tuesday's Random Thoughts. I ordered some ear plugs last night. Doesn't sound like a big deal, but the snoring in my household is loud. So, I did some research. I looked at ten reviews of ear plugs. They each had a Noise Reduction Rating as well as ratings for comfort, durability, ease of use, and a few other things. 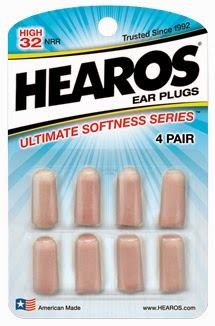 I had no idea that you could buy ear plugs for over $100! But, I'm glad I did my research because the ones that I actually purchased were only about $5. I'll let you know if they work! I'm watching Mitch Albom's For One More Day as I type this. I have avoided this movie because I have always wished for one more day with my dad, and I didn't know if I could handle the emotions I was sure would follow viewing it. So far, I think I'm going to be okay. But what I wouldn't give for one more day with my dad! Anything! Everything! It's been 9 and a half years since he passed suddenly and without warning. Here one minute; not the next. I miss him so deeply. I don't believe I have ever completely dealt with my sorrow. I think I am still in the denial stage, even after all these years. Because if I accept it, it's going to hurt too badly. 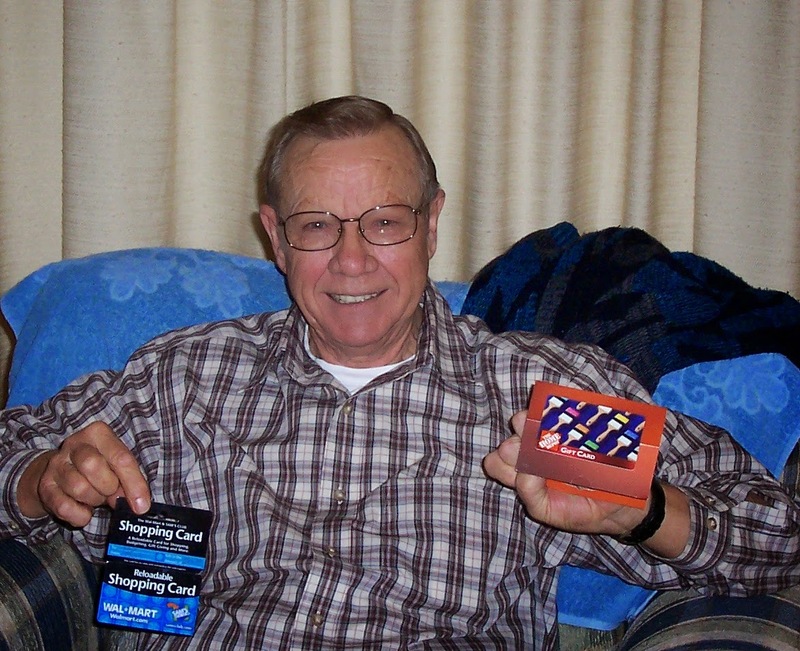 This picture was taken a year and a half before he passed. (See? I can't say the word died.) He was a handsome man, IMHO! 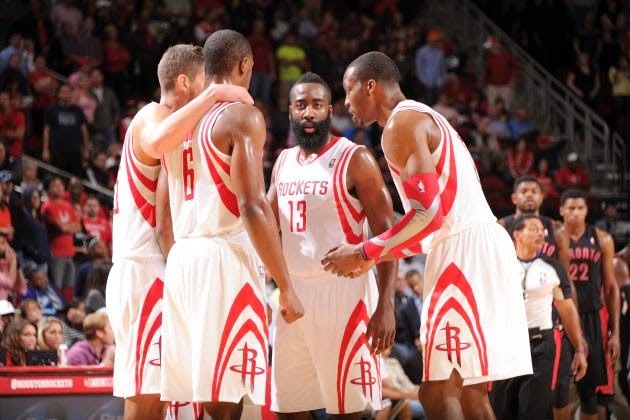 I'm counting down the days until basketball season, except I don't know what the Rockets are going to do since we lost Parsons and didn't gain another "superstar." We have Ariza, which is good, and our guys are in training this summer, hopefully getting better, but I sure we we'd have gotten Bosh! This is totally random and probably means nothing to you, but isn't that what this is all about! I've got my legs propped up in the recliner, and this sweet angel is sleeping on them, as usual. I don't know what I'd do without her! 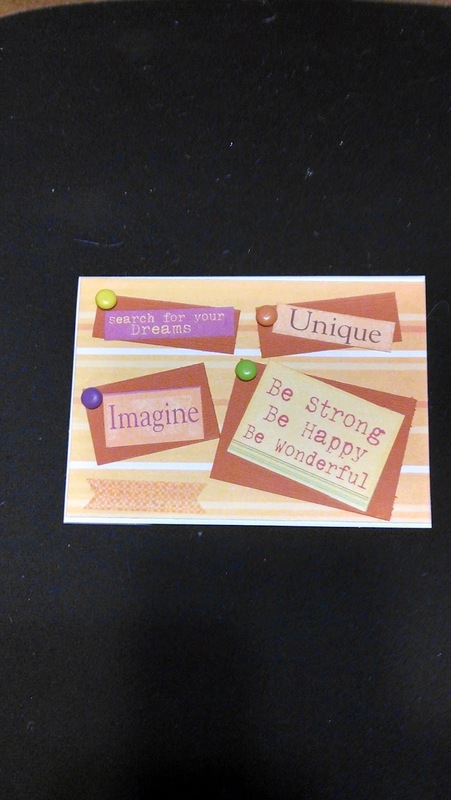 Happy Random Thoughts to You! Saturday, 4 AM, wake up in the dark to take my darling daughter, who just turned 18, to the airport. She would be flying first to Atlanta, then on to Jamaica, with a team of 16 other church members, predominately youth, to do mission work. She was nervous. New experience. No family with her. Foreign country. Unsure exactly what work they will be asked to do. Afraid she forgot something (they have to take work tools as well as personal supplies and work clothes). Eating meals consisting of foods she may never had heard of. But I know she will do great mission work! It's in her heart. 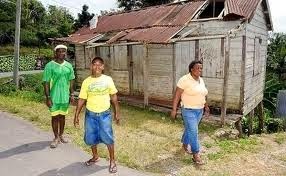 Catadupa, Jamaica is a rural mountain village about 19 miles from Montego Bay, but worlds apart in appearance and culture. 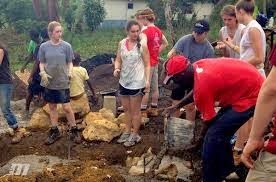 Some of the things mission groups have done in the past include planting gardens, building structures, painting, ministry and worship, as well as working with the kids of the community. Last year, one of the tasks they tackled was laying a new foundation for a family home that had burned down. They will be assigned to do whatever is necessary on this trip. Each night, they spread the word of God and worship with the community. She is very excited about working with the kids. I am so proud of my daughter. 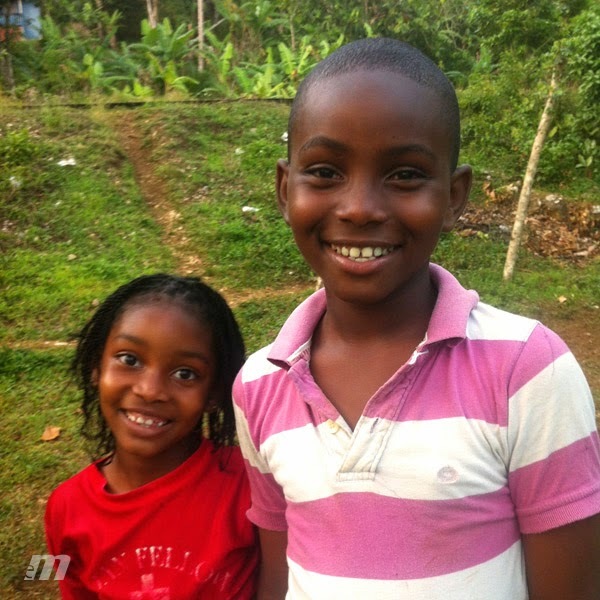 She raised the necessary funds by herself, and when she is determined, she can accomplish anything. I know this experience is going to change her life. Please join me in praying for her team. Catadupa photos courtesy of Experience Mission. 1. My cat, Lacy, is supposed to be an indoor kitty. My husband, however, likes to let her out in the back yard, usually in the morning. 2. He leaves the door cracked so she can come in when she is ready. 3. Sometimes he leaves for work before she comes in. That is when things get interesting. 4. One day, she had a locust in her mouth, and it was buzzing loudly. She was so scared of the buzzing, and I don't think she knew the buzzing was in her mouth. We were laughing so hard. Upstairs, downstairs, upstairs,, behind the couch, etc. She finally and dropped it. 5. One evening, I heard a strange meow which means she has something in her mouth. Then I heard a squeaking. Mice really do squeak! It was a baby mouse, and she had injured it, I think. She still ran upstairs with it, so I tried to sweep it into the dustpan to get it outside, but I think it died. 6. Another thing she brought in was a snake. I have no idea what kind or whether or not it was alive because I hate snakes! When I heard her weird meow and peeked to see what she had, I ran! Thank goodness my husband was here to deal with that one! 7. A few days ago, I heard that strange meowing again. This time it was a lizard. A big, fat, black lizard, definitely not your garden-variety green lizard. 8. I dislike lizards almost as much snakes. No one was here to help me! I got a trashcan and trapped it before I realized he could probably slide out from under it. So, the nearest heavy item was our scale. I held a side of the scale up right in front of the trashcan, lifted the side of the can nearest to the scale, and dropped it on him. 9. Turns out it was trapped, not smashed as I had hoped. But I had to stay out the bathroom all day and keep the kitty away because she wanted to play with it, until my husband came home and took it out. 10. 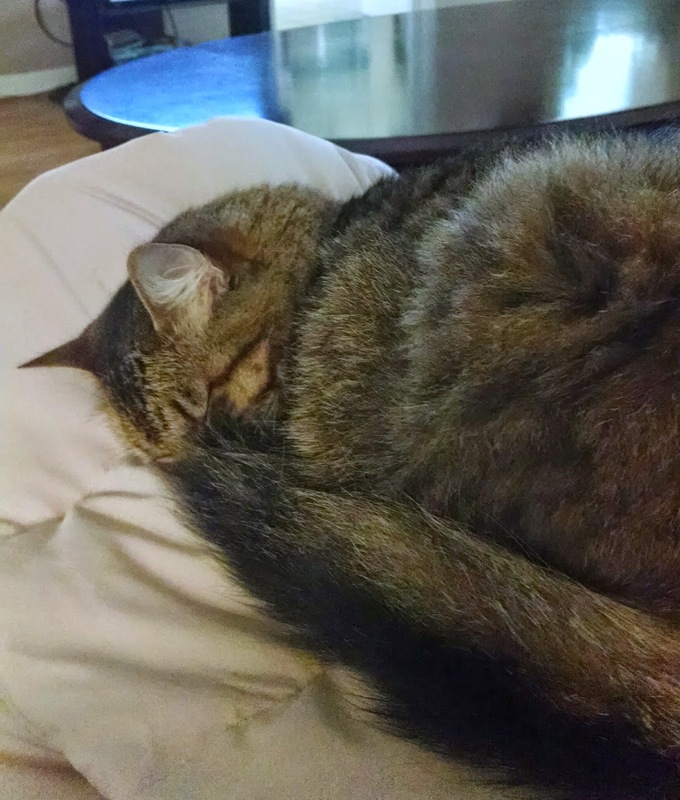 Today, my daughter and I were sitting on the couch, and the cat was behind the loveseat (which is open - not in front of a wall), and we kept hearing a clicking noise. It sounded like the cat was playing with the wildlife again. 11. This was just a bug, although I have no idea what kind... black, about an inch long. When I tried to step on it, it jumped about a foot off the floor. When it landed, it made the clicking noise my daughter and I had heard before we knew what it was. Never saw one like it before! 12. It must have had a hard shell that made the noise when it jumped and landed on the wood floors. 13. It took me three times, but I was finally able to make contact and flush it! And that's my cat story, and I'm sticking to it! In spite of all this, I love her! The purpose of the meme is to get to know everyone who participates a little bit better every Thursday. Visiting fellow Thirteeners is encouraged! 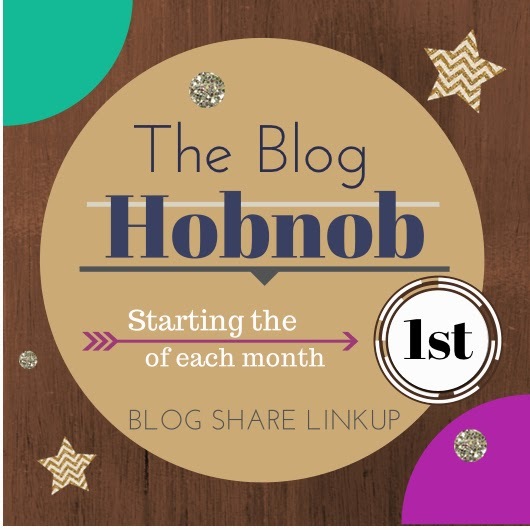 If you participate, leave the link to your Thirteen in others' comments. It’s easy, and fun! 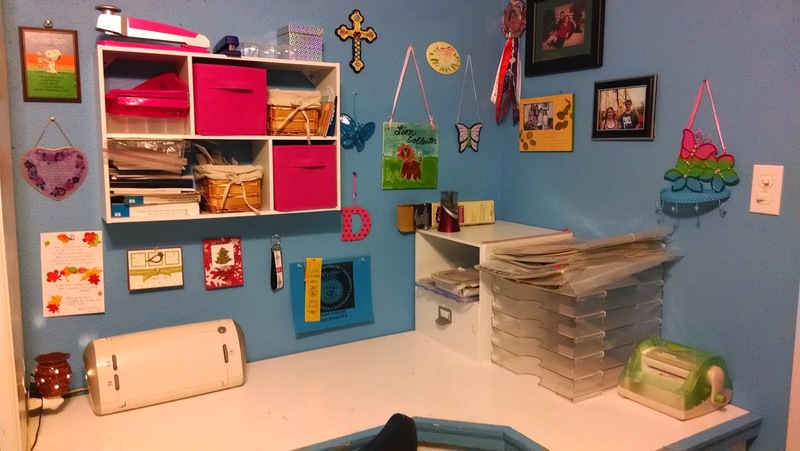 I'm in the process of moving all of my scrapbooking supplies into one of our bedrooms that is not being used anymore, and it's taking a while to get organized, but I've made major progress. 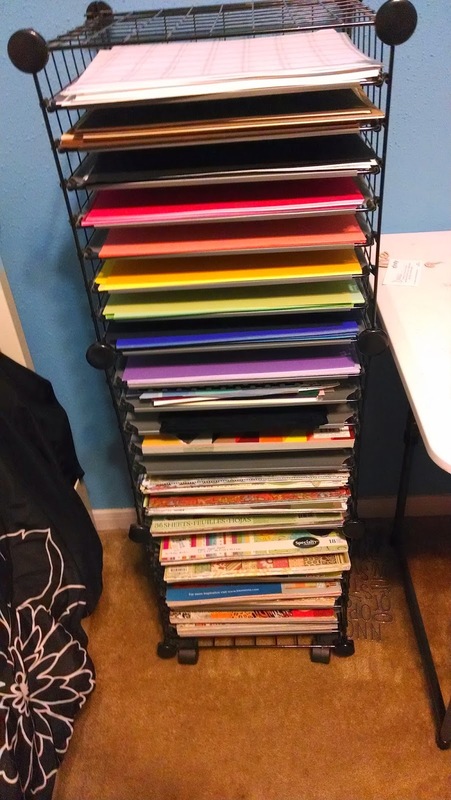 I got all of my paper organized, first the solids (white, brown, black,, ROYGBIV) and the printed papers below that. This is my desk. I'm still working on the best arrangement for the desktop, but I got my wall just about the way I want it. 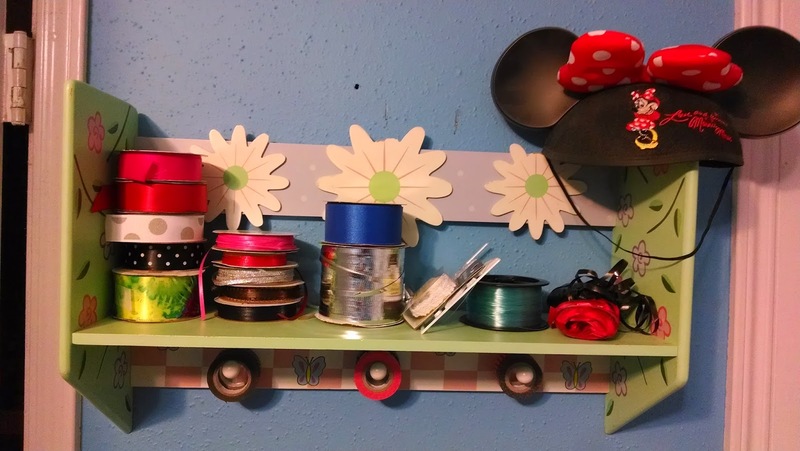 This is my spooled ribbon as well as my washi tape. I feel like I've gotten a lot done, and I'm happy with it! 5 Minutes for Mom hosts Tackle it Tuesday. This has been a lazy summer so far. Last year, I got a part time job and kept it through December. I'll be taking my daughter off to college this summer, but I have had three weeks of laziness so far. I have done a few crafts so far. 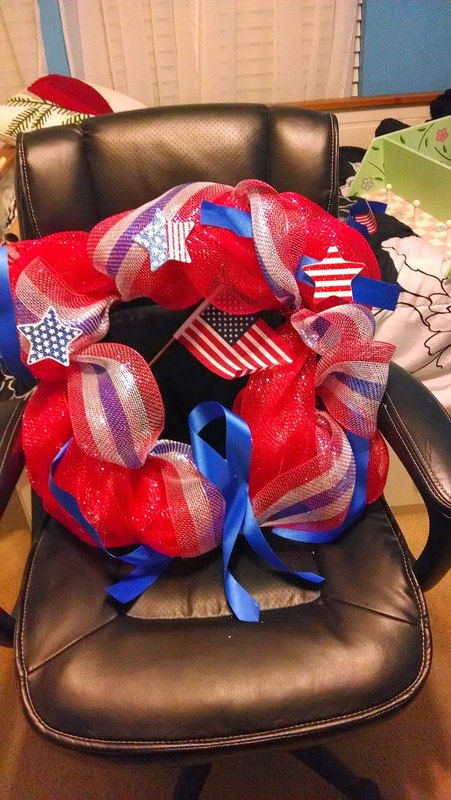 I made a patriotic wreath. 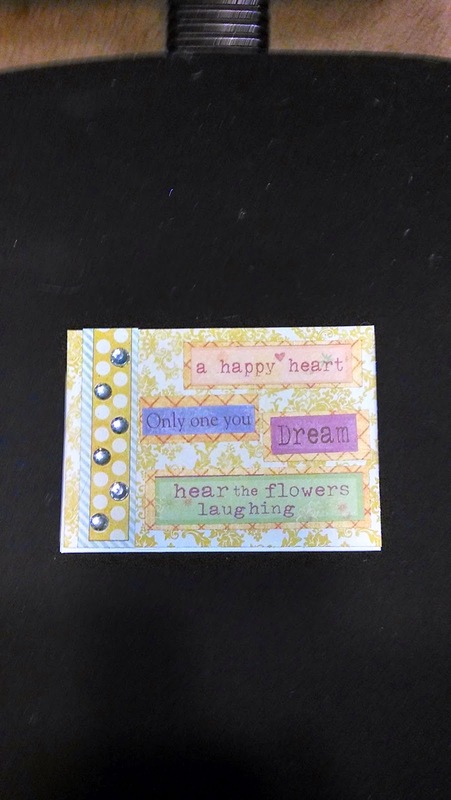 Here are some birthday cards I made. 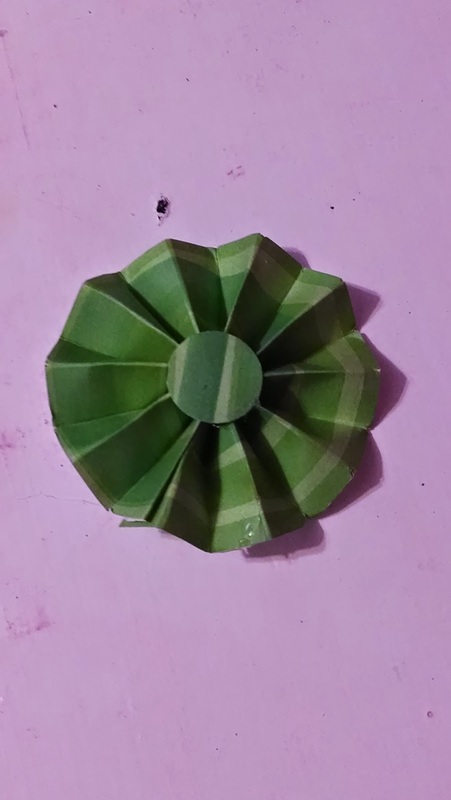 I learned to make a paper rosette, but I've had a hard time repeating it. It's harder than it looks! I'm going on a scrapbook retreat with my sister in a week. Can't wait!